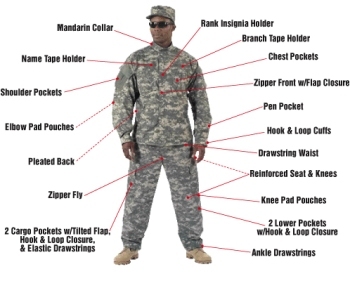 These ACU Digital Camouflage Uniform Army Uniform issue by TRU-Spec from Atlanto or from a different government manufacturer. All sizes from Small to 3X. $73.90 each set for sizes Small - ExtraLarge, $79.90 for 2X and 3X. If you want to mix and match sizes or just purchase either a jacket or a bottom they are sold separately under 'uniform trousers' and 'uniform shirts' in our store. Sizes Available: Extra-Small to 3X in short, regular and long lengths. 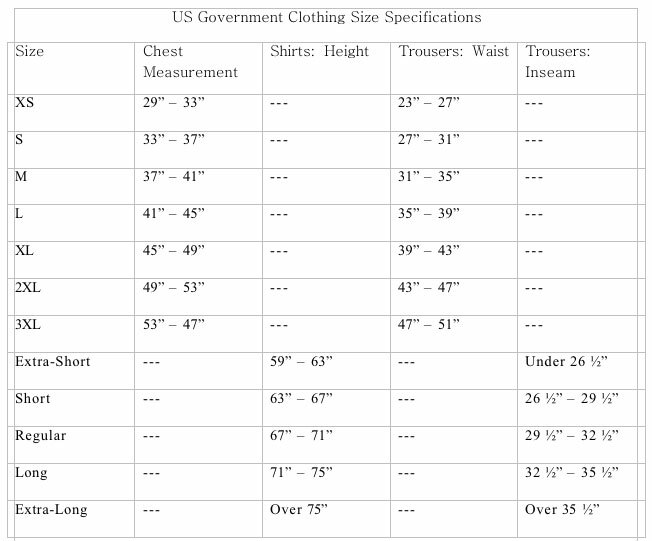 See link to the sizing chart in shopping cart for specific measurements.